(1) reviewing the Constitution and federal legislation using a loose or strict interpretation and Through his judicial interpretations he helped cement the nation together by spelling out the procedure by which the federal courts could review states laws and state court decisions involving powers and duties delegated by the Constitution to the federal government. (2)reviewing state laws and court decisions involving powers and duties delegated by the Constitution to the federal government. Adams had named a justice of the peace for the District of Columbia, learned that his commission was being denied him by the new Secretary of State, James Madison, (Madison was appointed by the new President Thomas Jefferson) he sued for its delivery. In the end, the contest came down to a tie between two Republicans, Thomas Jefferson of Virginia and Aaron Burr of New York, who each had 73 electoral votes. (Adams had 65.) Burr was supposed to be a candidate for vice president, not president, but under the Constitution’s original rules, a tie-breaking vote had to take place in the House of Representatives. It was controlled by Federalists bitter at Jefferson. House members voted dozens of times without breaking the tie. On the thirty-sixth ballot, Thomas Jefferson emerged victorious. 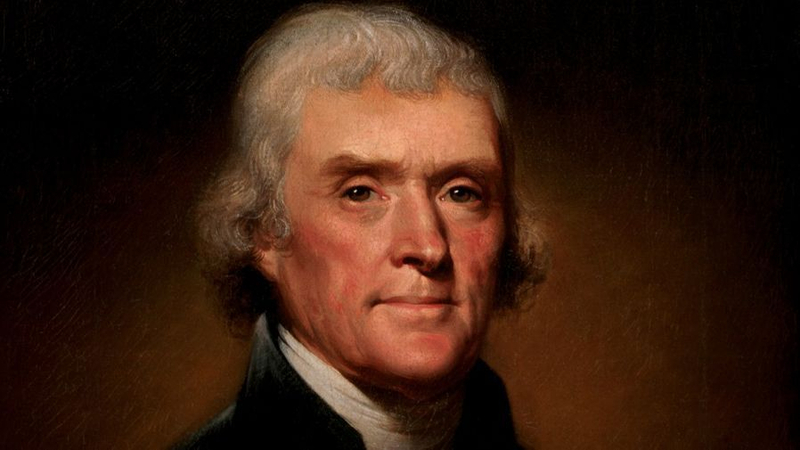 n his first inaugural address, however, Thomas Jefferson offered an olive branch to the Federalists. He pledged to follow the will of the American majority, whom he believed were Republicans, but to respect the rights of the Federalist minority. And his election set an important precedent. Adams accepted his electoral defeat and left the White House peacefully. “The revolution of 1800,” Jefferson would write years later, did for American principles what the Revolution of 1776 had done for its structure. But this time, the revolution was accomplished not “by the sword” but “by the rational and peaceable instrument of reform, the suffrage of the people.”Four years later, when the Twelfth Amendment changed the rules for presidential elections to prevent future deadlocks, it was designed to accommodate the way political parties worked. Despite Adams’s and Jefferson’s attempts to tame party politics, though, the tension between federal power and the liberties of states and individuals would exist long into the nineteenth century. 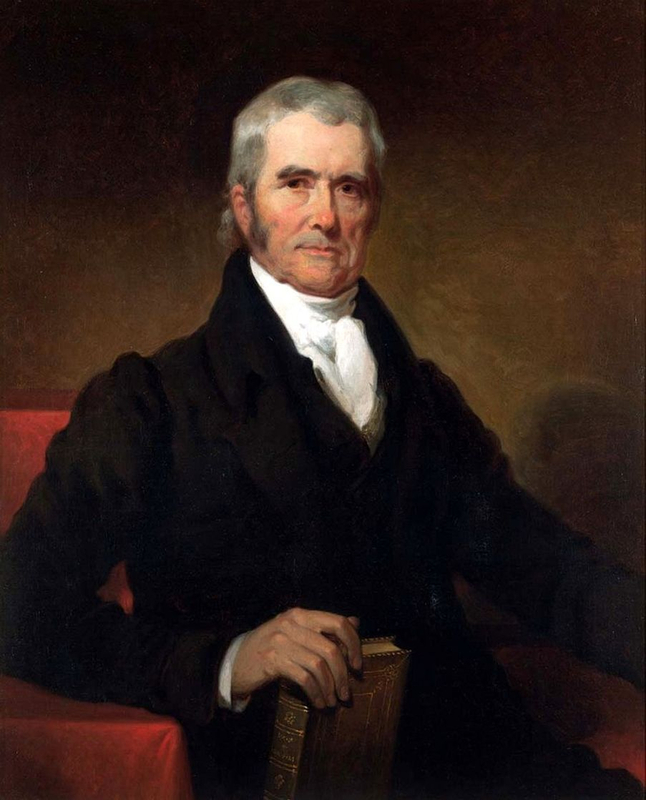 And while Jefferson’s administration attempted to decrease federal influence, Chief Justice John Marshall, an Adams appointee, worked to increase the authority of the Supreme Court. These competing agendas clashed most famously in the 1803 case of Marbury v. Madison, which Marshall used to establish a major precedent. The Marbury case seemed insignificant at first. The night before leaving office in early 1801, Adams had appointed several men to serve as justices of the peace in Washington, D.C. By making these “midnight appointments,” Adams had sought to put Federalists into vacant positions at the last minute. Upon taking office, however, Jefferson and his secretary of state, James Madison, had refused to deliver the federal commissions to the men Adams had appointed. Several of the appointees, including William Marbury, sued the government, and the case was argued before the Supreme Court. Marshall knew that Jefferson or Madison would hardly spring forward to enforce a writ to deliver the commission to his fellow Federalist Marbury. He therefore dismissed Marbury's suit to avoid a direct political showdown but at the same time he won a political victory by stating that part of the Judiciary Act of 1789 on which Marbury tried to base his appeal was unconstitutional. Marshall said the act that attempted to assign to the Supreme Court powers that the Constitution had not foreseen. In this self-denying opinion, Marshall greatly magnified the authority of the Supreme Court establishing JUDICIAL REVIEW. Examples of judicial review of state laws and state court decisions involving powers and duties delegated by the Constitution to the federal government are: McCulloch v. Maryland and Dartmouth College v. Woodward both in 1819 --AND both of these cases bolstered the power of the federal government at the expense of the states. 2. Sovereignty: rests with the people not the states. 3. Supremacy Clause: Congress gets to interpret the Constitution. The states action may not impede valid constitutional exercises of power by the Federal government. 4. Implied Powers: Constitution grants to Congress implied powers or the elastic clause for implementing the Constitution's express powers, in order to create a functional national government. with the federal Constitution and protected property rights against popular pressures. The college had been granted a charter by King George III in 1769, but the state legislature of New Hampshire had seen fit to change it. Dartmouth appealed the case. The case arose when the president of Dartmouth College was deposed by its trustees, leading to the New Hampshire legislature attempting to force the college to become a public institution and thereby place the ability to appoint trustees in the hands of the governor. TheSupreme Court upheld the sanctity of the original charter of the college, which predated the creation of the State. The decision settled the nature of public versus private charters and resulted in the rise of the American business corporation and the free American enterprise system. In this sense his nationalism was the most enduring of the era. He supported a strong federal government and helped to mold a stable, nationally uniform environment for business and thus ranks as one of the foremost creators of our existing national government.